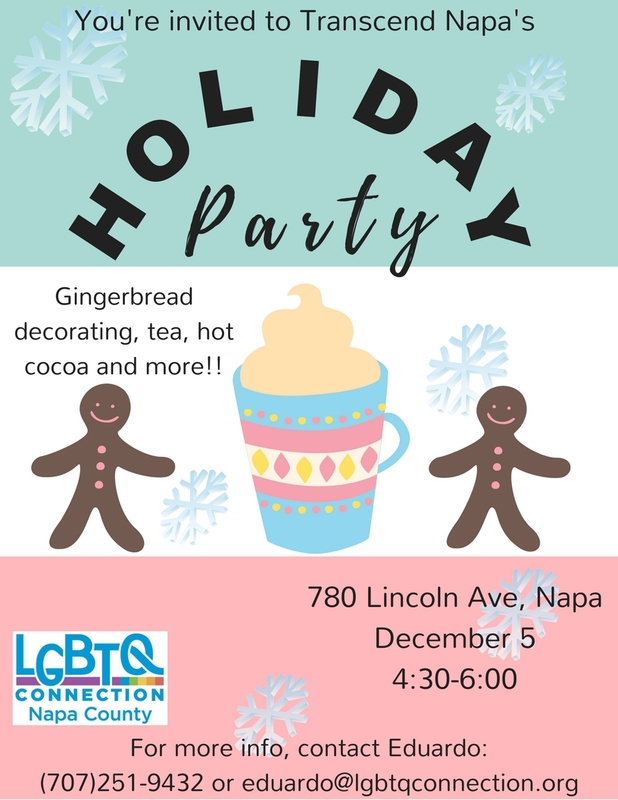 You’re invited to Transcend Napa’s holiday party Dec 5th from 4:30-6:00pm! Folks of all ages who are trans, agender, or gender non-conforming are welcome to come kick off the holidays with a fun, inclusive celebration. Gingerbread decorating, tea, and hot chocolate are provided!